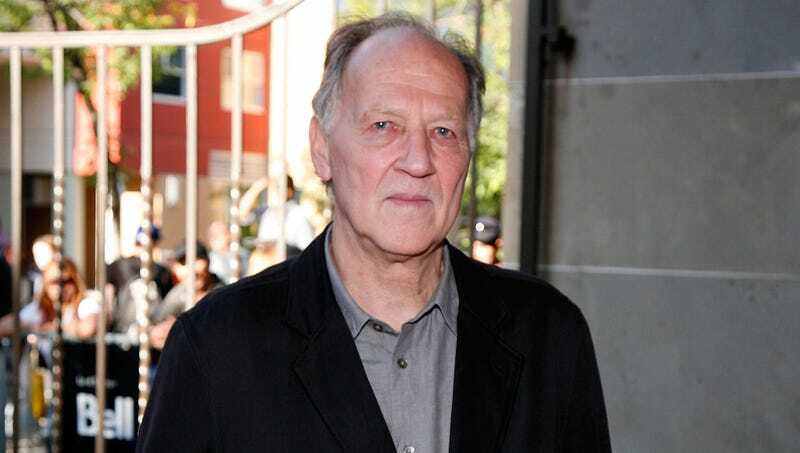 LOS ANGELES—Shedding new light on the tragic ending to his critically acclaimed portrait of the animal activist, filmmaker Werner Herzog told reporters Wednesday that he killed and ate Timothy Treadwell in 2003. “I should finally say that during the filming of my documentary Grizzly Man, I mauled Timothy Treadwell to death and then devoured his remains,” said Herzog, admitting after 15 years that it was in fact he and not the grizzly bears of Katmai National Park who sunk his teeth into Treadwell’s neck, ripped out his jugular, and feasted on his organs. “Timothy and his girlfriend Amie Huguenard were setting up camp by a salmon stream when I approached them, aggressively batted them around, and then tore them limb-from-limb while they screamed. His judgment was perhaps clouded by his optimistic view of nature, which, in the end, sadly led to me picking his bones clean.” Herzog went on to say that the most tragic part of the story was that, after years of integration, Treadwell felt he had finally gained his trust.